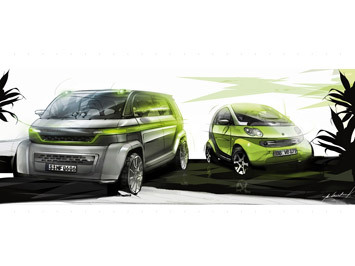 The smart.bus concept is a design study of a six-passenger compact minivan that reinterprets the brand’s trademark design elements, from the safety cell to the two-tone paint scheme. 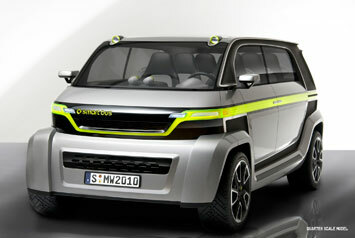 The author is German car design student Matthias Wondrak. 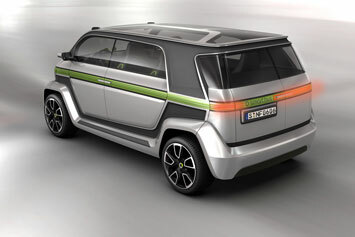 The smart.bus Concept is a the bachelor thesis project of Matthias Wondrak, a German car design student at Munich University. 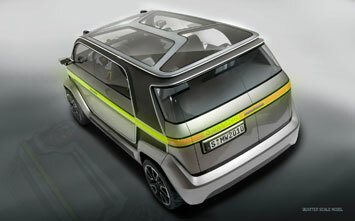 It shows how a minibus for the Smart brand might look like. The goal of the project was to create a compact minivan that would offer a solution for the future traffic of European mega cities such as Berlin or London. The smart.bus concept addresses this challenge by offering a capacity for six passengers – with three rows of seats – in just 4.1 meters of length. It showcases unconventional proportions and an original exterior look which makes use of some trademark Smart features like the Tridion safety cell and the two-tone paint. Matthias Wondrak explains the design of his concept: "A main feature is the green horizontal light stripe that separates the body volume into two halves without losing interior space. "It gives the car a wider and lower look and adds contrast to the silver body panels. "All components like the door handles, front- and back lights, side markers for the US market and brand logos are integrated in this band which is cheap in production and easy to assemble. "The main smart design safety feature, the tridion cell, is all new. It is designed with a negative shape that makes the high safety standard and enormous stiffness visible to the customer. "The safety cell has two triangle pillars at the roof of the car that make B-pillars unnecessary. 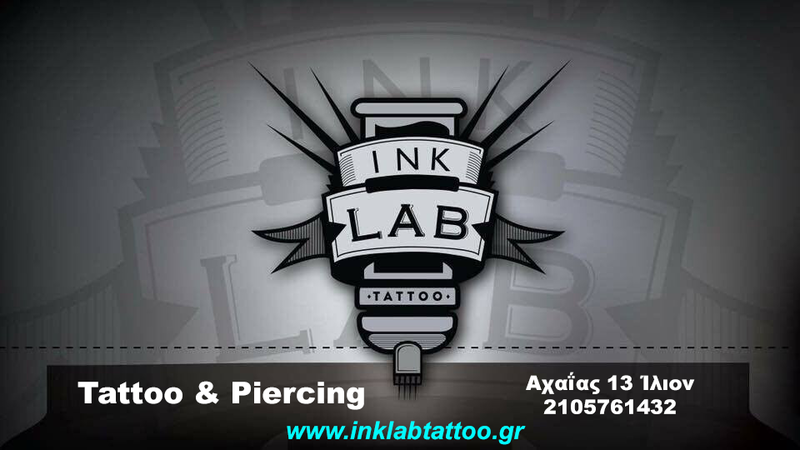 For the customer, this feature provides a better visibility and more interesting design." 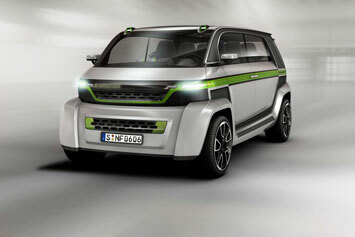 The minibus concept was developed at the MBtech Design Center in Leonberg, Germany, under the supervision of Andreas Kurbos and Benjamin Nawka, and in cooperation with Proceda modelling company, based in Weissach, Germany. The project was presented as a highly detailed quarter scale model supported by VR pictures and sketches. Matthias Wondrak is a German Designer who works at the MBtech Design Center in Leonberg, Germany (MBtech Group is a 100% subsidiary of the Daimler AG). He studied industrial design at Munich University with a focus on transportation design. 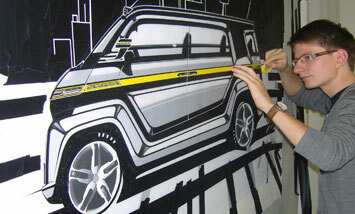 After internships at KIA Design Center Frankfurt and MBtech Design he made his bachelor thesis project at MBtech Design. Όλες οι ώρες είναι GMT +2. Η ώρα τώρα ειναι 03:02.